Image of the Bloom Lake Mine courtesy of Champion Iron. 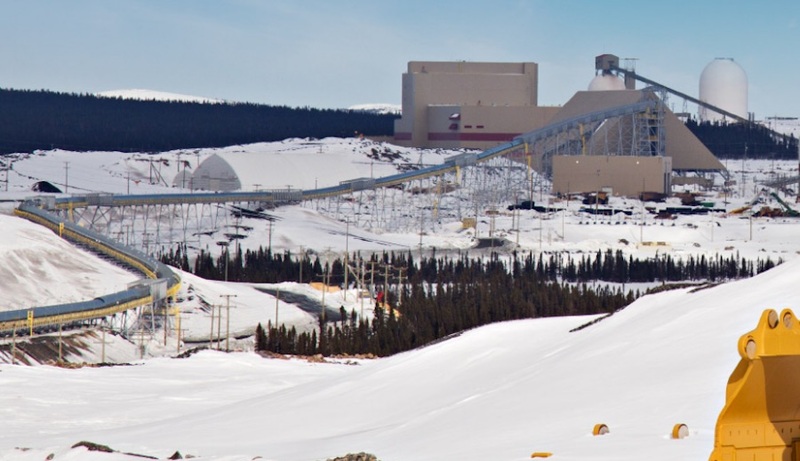 The cash keeps pouring in to Champion Iron (TSX:CIA) and its subsidiary, Quebec Iron Ore (QIO), which is planning on restarting the idled Bloom Lake Mine in the Canadian province of Quebec. Earlier this month Montreal-based Champion announced that Sprott Resource Lending and la Caisse de dépôt et placement du Québec- a large pension fund – will provide debt financing for the project totalling USD$180 million. The $180 million loan will be paid in two tranches, with Sprott providing $100 million for the first five years, and Caisse financing $80 million for the following seven years. The large loan follows the granting of a $40 million bridge financing back in May plus offtake agreement. The combination of $26 million in debt and $14 million in equity is being put towards upgrades at the mine and processing facilities. The debt component consists of a $20 million loan from Sojitz Corporation, together with a $6 million loan from Ressources Québec Inc., which owns 36.8% of QIO. The equity share is split between Ressources Québec and the Quebec government. Sojitz has also agreed to buy up to 3 million tonnes a year from Quebec Iron Ore upon the mine restarting. The agreement is for an initial five years, to be renewed in five-year terms. As a condition of the debt financing, Champion and Ressources Québec have agreed to raise CAD $72 million to support resumption of operations at Bloom Lake, located near Fermont, QC. “We recognize and greatly appreciate the confidence and support shown by Caisse and Sprott in providing a key element of the required financing to restart Bloom Lake. We are pleased to be working with the teams at both Caisse and Sprott and look forward to bringing Bloom Lake back into production, which would benefit not just Champion, QIO and its shareholder and investor base, but also the many local and regional interests as we establish ourselves as a significant player in the Labrador Trough,” Champion and QIO Chairman and CEO, Michael O’Keeffe said in a statement. In 2016 Champion Iron Ore, an iron ore explorer with offices in Canada and Australia, bought the Bloom Lake operation along with its rail assets. The mine's former owner, Cliffs Natural Resources (NYSE:CLF), shuttered production in late 2014 as part of a greater plan to exit its money-losing Canadian operations. Cliffs, the biggest U.S. iron ore miner, purchased the mine for US$4.9 billion in 2011 at the top of the market for iron ore. However the company struggled to make a go of the operation and it sustained quarterly losses until Cliffs finally gave up on it turning a profit, as the price of iron ore tumbled. The mine in northeastern Quebec was put on care and maintenance and placed into creditor protection to protect Cliffs from future closure costs. The deal was approved by the Québec Superior Court as part of restructuring proceedings. According to Champion, the mine has already been given the okay to operate by federal and provincial authorities, having passed an environmental assessment in 2008. It also has an updated feasibility study, which is available under the company's SEDAR profile.